The Carlsbad Farmers' Market takes place in downtown Carlsbad every Wednesday. 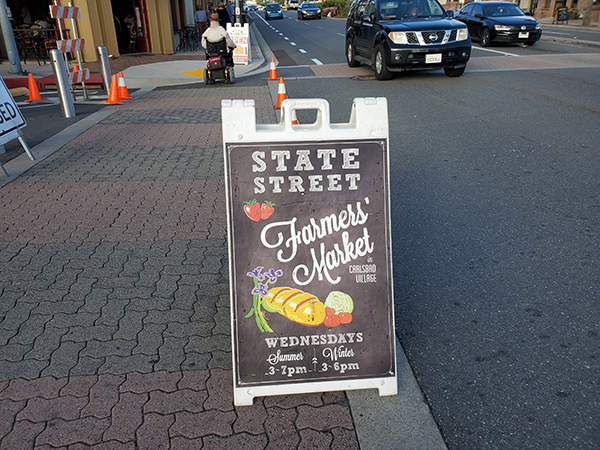 Enjoy fresh organic produce, locally prepared foods, handmade crafts, and live entertainment in the heart of Carlsbad Village on State St. between Carlsbad Village Dr. and Grand Ave. 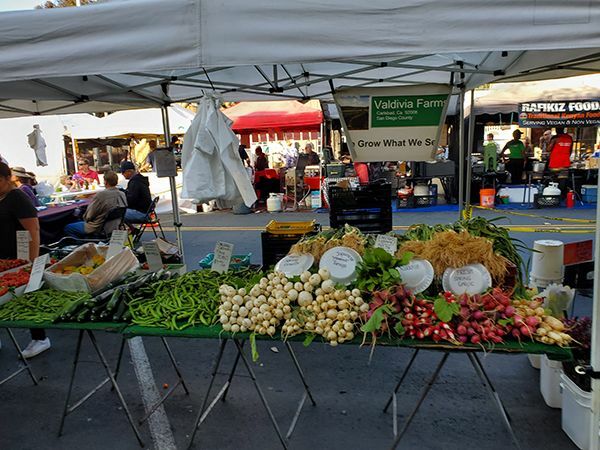 Whether you’re in town visiting or have lived in Carlsbad for may years, try something different and head over to the Carlsbad Farmers’ Market in downtown Carlsbad Village. Find fresh, and locally-sourced produce, amazing fruits, vegetables, meats, art, and custom products from your own local merchants! There is plenty of parking in the Village. Sometimes you just have to hunt a little harder for it. There are several public lots within one to two blocks of the market. Public lots are located on Roosevelt Street, State Street (south of Carlsbad Village Drive), and behind the Coaster Station. And, don't forget that State Street, between Grand Avenue and Carlsbad Village Drive, must be cleared of all cars starting at 1pm to make room for the Farmers' Market.